Israeli Elbit has won the Indian Army's 155 mm, 52 calibre towed artillery gun competition, of which the import content alone is valued at over $ 1 Billion. Elbit's Indian partner is Bharat Forge. "The Elbit-Bharat Forge bid for the ATHOS 2052 howitzer was found significantly lower than that of French Nexter, which offered the Trajan gun jointly with its Indian partner Larsen & Toubro," highly-placed sources told SP's Correspondent. These guns have a firing range of above 40 km. This was an epic arms bazaar battle, involving several rounds of tendering and trials since the beginning of the last decade. The declaration of Elbit as 'L1' has cleared the decks for price negotiations. While the requirement is for 1,580 towed guns, reports have suggested the possibility of the order being pruned to 400 imported guns. 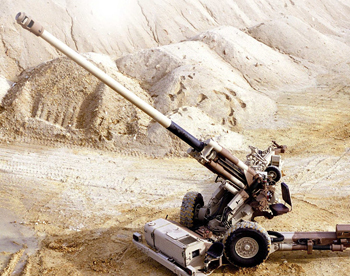 For the acquisition of the remaining 1,180 guns which were meant to be made in India under transfer of technology, the Government may opt instead for the indigenous Advanced Towed Artillery Gun System (ATAGS), being developed by the Defence Research and Development Organisation (DRDO) in partnership with Tata Power SED and Bharat Forge. But sources hinted that the Elbit-Bharat Forge combine has pulled its price below even that of the Dhanush 155 mm, 42 calibre artillery gun produced by the Ordnance Factory Board of which the first six were handed over to the Indian Army on April 8. Even though it enjoys a big leeway as an indigenous effort, the ATAGS will be hard pressed to match the price of Elbit's ATHOS 2052. The Indian Army's Field Artillery Rationalisation Programme (FARP) - probably the world's largest - was approved in 1999 to equip 169 artillery regiments with over 3,000 155 mm guns by 2027. 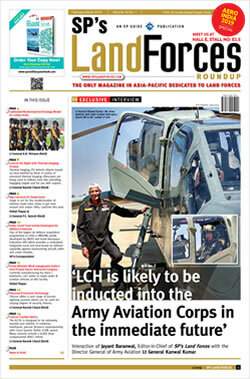 One artillery regiment is usually equipped with 18 guns. Cost estimates are in the $8 to 10 Billion bracket. The programme, involving the acquisition of 1,580 towed, 400 self-propelled, 814 mounted and 145 ultra light howitzers, will take decades for fruition. The order for 114 Dhanush guns may also grow to 400. Adrift for two decades, India's artillery modernisation plan appears finally falling into place. In 2018, the Indian Army started inducting the M777 ultra light howitzers and the K-9 Vajra tracked self-propelled guns. Both these guns are in the 155 mm, 52 calibre class, and the Indian Army's first new artillery inductions since the infamous Bofors deal in 1986. The Dhanush, an upgrade of the Bofors FH-77B by the OFB, too has provided some cheer. The Army is buying 145 M777s, 100 K-9 Vajras, and has committed an order for 114 Dhanush guns after receiving the first six.